Eric Greitens has 1 media appearance. Bestselling author, Navy SEAL, and humanitarian Eric Greitens offer a masterpiece of warrior wisdom that will change your life. In 2012, Greitens unexpectedly heard from a struggling former SEAL comrade. They started writing, and Eric's letters are now gathered in this timeless handbook. They explain how we can build purpose, confront the pain in our lives, practice compassion, develop our vocations, find a mentor, create happiness, follow a role model, and think about the story of our lives. For more information, please contact the St. Louis County Library at 314.994.3300. Greitens, a Navy SEAL and former Rhodes Scholar, tells how he drew from his own experience and wisdom from ancient and modern thinkers to help a former SEAL comrade deal with posttraumatic stress disorder. Left Bank Books presents bestselling author, Navy SEAL, and humanitarian Eric Greitens, author of The heart and the fist, who will sign and discuss his new book, Resilience: Hard-Won Wisdom for a Better Life. Ticket Information: $31 admits one and includes on copy of Resilience. $36 admits two, includes one copy of Resilience, and $5 will be rebatable towards the purchase of a second copy at the event. A portion of the proceeds will benefit the St. Louis Public Library's mission to enhance individual, family and community life. A free valet service will be available at this event; tipping is encouraged. Please contact kea.w@left-bank.com if you will need special accommodations, especially handicapped-accessible seating. In 2012, Eric Greitens unexpectedly heard from a former SEAL comrade, a brother-in-arms he hadn't seen in a decade. Zach Walker had been one of the toughest of the tough. But ever since he returned home from war to his young family in a small logging town, he'd been struggling. Without a sense of purpose, plagued by PTSD, and masking his pain with heavy drinking, he needed help. Zach and Eric started writing and talking nearly every day, as Eric set down his thoughts on what it takes to build Resilience in our lives. Eric's letters—drawing on both his own experience and wisdom from ancient and modern thinkers—are now gathered and edited into this timeless guidebook. Resilience explains how we can build purpose, confront pain, practice compassion, develop a vocation, find a mentor, create happiness, and much more. JCC Book Festival event! Bookworks is again a proud sponsor of the Jewish Community Center Book Festival! For more information about any of these events, please email Joanne Matzenbacher at ladymatz@comcast.net. About the author: Invited on humanitarian missions to Croatia, Rwanda, the Gaza Strip, Bolivia and India to name only a few hot spots, Greitens saw firsthand the destruction of war and the devastation caused by genocide. As a Rhodes scholar at Oxford, Greitens felt he had an obligation to be part of a military capable of preventing genocide, and that he had an obligation to help restore lives, livelihoods and purpose to those who had been mangled by the machinery of war. The Navy SEALS was his "fist" and The Mission Continues, a non profit he started to challenge returning vets to serve and lead, is his "heart." As a Purple Heart recipient he has "walked the walk," making his message particularly meaningful for young people. The Warrior's Heart is the young adult version of The heart and the fist. 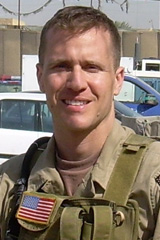 The Fort Lewis College Common Reading Experience pick for the 2012-13 school year is Eric Greitens The Heart and the Fist, an inspiring memoir from one of the world's most elite warriors. Greitens recounts in remarkable detail his time as a Navy SEAL--from the most harrowing encounters and brutal attacks to the lessons learned from his humanitarian efforts. Greitens will appear at the Community Concert Hall on the Fort Lewis College campus for an event that is free and open to the public. Maria's Bookshop will provide books for sale at the event. Doors open at 6:30 for students, faculty and staff, and at 6:45 for the general public. Eric Greitens was born and raised in Missouri, where he was educated in the public schools. He was an Angier B. Duke Scholar at Duke University, where he studied ethics, philosophy, and public policy. Selected as a Rhodes and a Truman Scholar, he attended the University of Oxford from 1996 through 2000. There he earned a master’s degree in 1998 and a Ph.D. in 2000. His doctoral thesis, Children First, investigated how international humanitarian organizations can best serve war-affected children. He has worked as a humanitarian volunteer, documentary photographer, and researcher in Rwanda, Cambodia, Albania, Mexico, India, Bosnia, and Bolivia. Eric also served as a United States Navy SEAL officer and deployed four times during the Global War on Terrorism to Afghanistan, Southeast Asia, the Horn of Africa, and Iraq. He served as the Commander of a Mark V Special Operations Craft Detachment, Commander of a Joint Special Operations Task Unit, and as Commander of an al Qaeda Targeting Cell. In 2005, he was appointed by the President to serve as a White House Fellow, and in 2011 the Association of the United States Navy named him the Navy Reserve Junior Line Officer of the Year. His military awards include the Navy Achievement Medal, the Joint Service Achievement Medal, the Navy Commendation Medal, the Joint Service Commendation Medal, the Combat Action Ribbon, the Purple Heart, and the Bronze Star. After returning from Iraq in 2007, Eric donated his combat pay to found The Mission Continues, a national nonprofit organization that challenges veterans to serve and lead in communities across America. As CEO, Eric has been recognized as one of the most innovative leaders in America. The Manhattan Institute for Social Entrepreneurship recognized him as one of the five leading social entrepreneurs in America. Major League Baseball and PEOPLE Magazine named Eric an “All-Star Among Us”, the National Conference on Citizenship named him its “Citizen Soldier of the Year”, and in 2008 the President personally presented Eric with the President’s Volunteer Service Award in recognition for his inspiring national leadership. A photographer and writer, Eric is the author of two books. Strength and Compassion is a collection of photographs and essays that was recognized as ForeWord Magazine’s Photography Book of the Year, and as the Grand Prize Winner of the 2009 New York Book Festival. His second book, The Heart & the Fist: The Education of a Humanitarian, the Making of a Navy SEAL, relates Eric’s story of leadership and service as a humanitarian and a warrior, and was a 2011 New York Times Bestseller. Eric teaches as a Senior Fellow at the Truman School of Public Affairs at the University of Missouri and at the Olin School of Business at Washington University in St. Louis. His work has been covered by national media outlets including NPR, CNN, NBC Nightly News, Fox, CBS, MSNBC, The Colbert Report, the TODAY Show, USA Today, the New York Times, the Wall Street Journal, and the Washington Post. Eric is a sub-3 hour marathon runner and the winner of the Shamrock Marathon at Camp Fallujah, Iraq. As a boxer, he won two Oxford Boxing Blues and the Gold Medal at the BUSA National Boxing Championships. He holds a Black Belt in Taekwondo, and lives in St. Louis, Missouri with his wife, Sheena. Venue: St. Charles City-County Library | In an inspiring memoir from one of the world's most elite warriors, Eric Greitens recounts in remarkable detail his time as a Navy SEAL--from the most harrowing encounters and brutal attacks, to the lessons learned from his humanitarian efforts. Join us for the paperback release of this #1 St. Louis Independent Bookstore Alliance bestseller. KMOX's Mark Reardon will introduce Eric at the event. Co-sponsored by The Mission Continues. Eric Greitens is currently considered a "single author." If one or more works are by a distinct, homonymous authors, go ahead and split the author. Eric Greitens is composed of 3 names. You can examine and separate out names.